D.A. Confidential: Happy Launch Day! Today is a day I never dreamed I'd see, and I'm excited to announce the release of my second mystery novel, THE CRYPT THIEF. Hugo cracks the secrets of the graveyards but soon realizes that old bones aren’t all this killer wants. . . .
"The Hugo Marston series now belongs on every espionage fan’s watch list." "Mark Pryor has created a perfect second book for Hugo Marston. It delivers everything we loved about The Bookseller without being a retread. 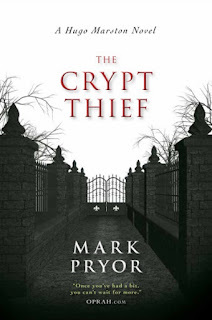 The Crypt Thief is proof that both Hugo and Pryor should be around for some time." “Haunting imagery in Père La Chaise cemetery sets the stage for Pryor’s chilling sophomore entry, and the City of Light becomes a backdrop for Marston’s adventures. 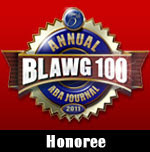 The clever antagonist leads him on a merry chase that will keep the reader entertained throughout." "Two young lovers make the fatal mistake of sneaking into Paris’s Père Lachaise Cemetery the same night as a bone-stealing psychopath in Pryor’s propulsive second novel starring affable former FBI profiler Hugo Marston…. The engaging characters sweep readers into a suspenseful chase from Pigalle to the Pyrenées." Pryor's second case for Marston (after The Bookseller) doesn't disappoint. Author Pryor uses this truly creepy scenario to create a nail-biter of a novel. It has enough bizarre twists to keep you reading into the night. The setting in the famous Paris cemetery gives the story just enough of a sense of the exotic to pull the reader in, and to anticipate something far different from a run of the mill mystery. “The Crypt Thief” leads us on the trail of a cold-blooded killer to a truly fiery conclusion.